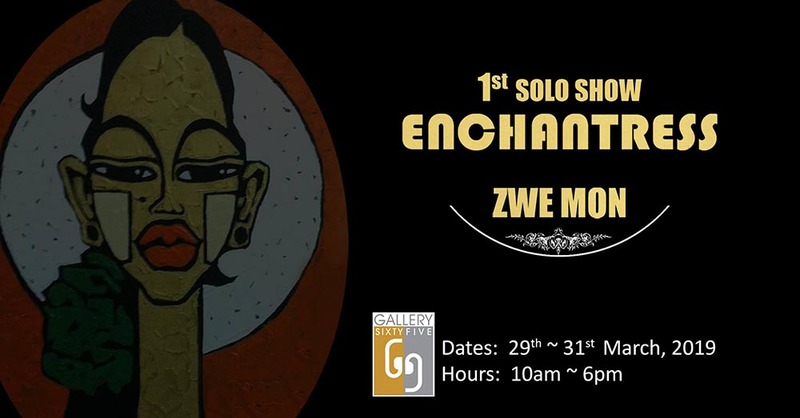 At Gallery 65 this weekend, see the first solo exhibition of Zwe Mon which will feature more than 30 of her works of art. Zwe Mon studied at the State School of Fine Art and her paintings use bright colors and often depict typical everyday scenes, important persons as well as some historical events, such as the Saffron Revolution. This musical event hosted by education non-profit Thabyay Education Foundation is now in its fourth year. 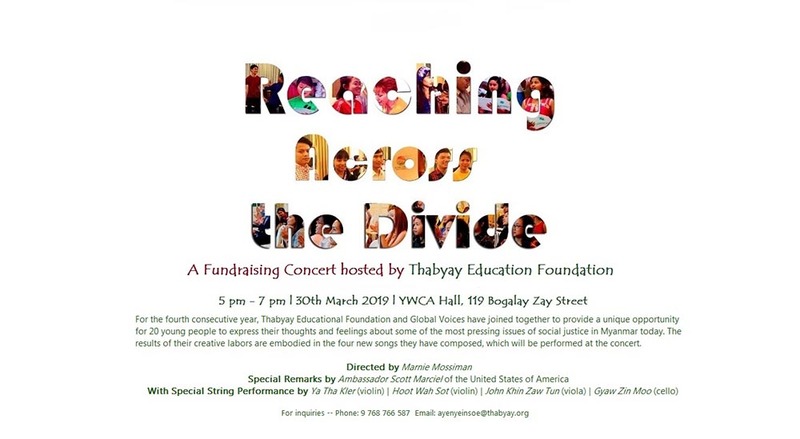 In conjunction with Global Voices, 20 young Myanmar people of diverse cultures and backgrounds get the opportunity to use music and song to express the issues in social justice here today. As well as some favorites, they will perform four new songs which have been collectively composed. US Ambassador to Myanmar Scott Merciel will make special remarks. Thabyay Education Foundation is a very worthy cause working to empower, enable and inspire Myanmar’s future leaders. 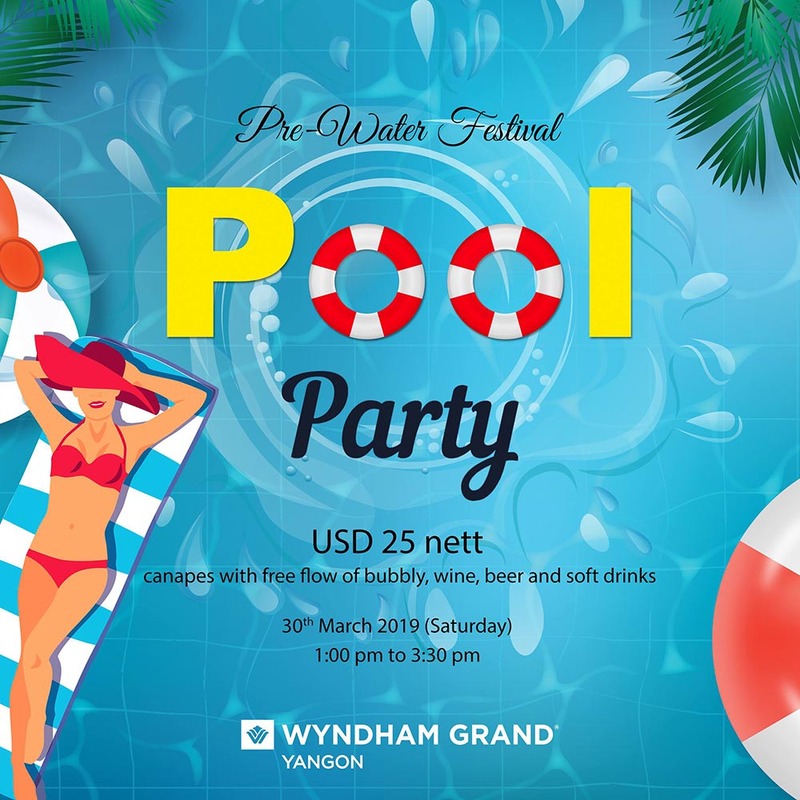 The new Wyndham Grand Yangon Hotel, with fine views over Kandawgyi Lake and Karaweik Palace, is the place to be this weekend if you just can’t wait for Thingyan to arrive. At this pool party there will be a live DJ and canapes will be served with a free flow of sparkling wine, beer, wine and soft drinks included in the ticket. Tickets $25 nett. This is the solo art show of reputed painter Aung Kyaw Htet. Aung Kyaw Htet is well known on the international artist circuit yet an art show in Myanmar is rare for him. His imaginative work most often depicts Buddhist symbols like statues, alms bowls and pagodas and he is perhaps most famous for his lively paintings of novice monks and nuns going about their daily rituals. Exhibition opening is on March 30 at 5:30 p.m.
Foodies should head to People’s Park this weekend for the third annual Duwun Food Carnival. As well as a huge variety of food stalls, you can enjoy food talks, a DFC Run, games, live music performances and other entertainment. 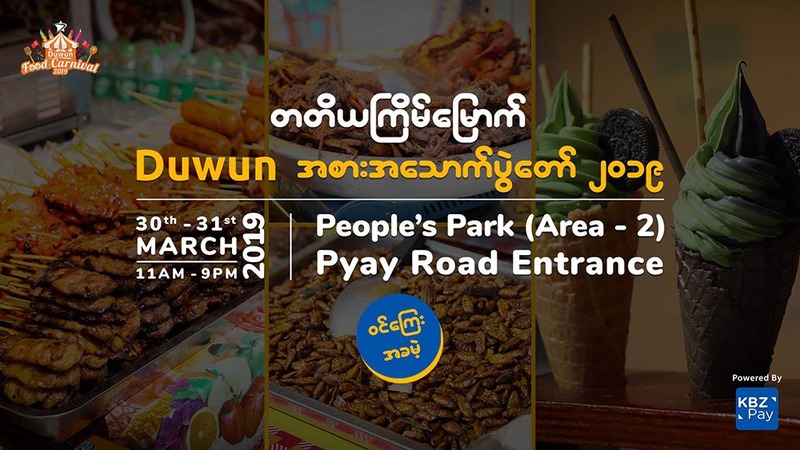 Famous singers to perform include Athen Cho Swe, Key Lashi, Kaung Kaung and Kay Kay Moe and groups to perform will include Project K, Team 143 and Definite. 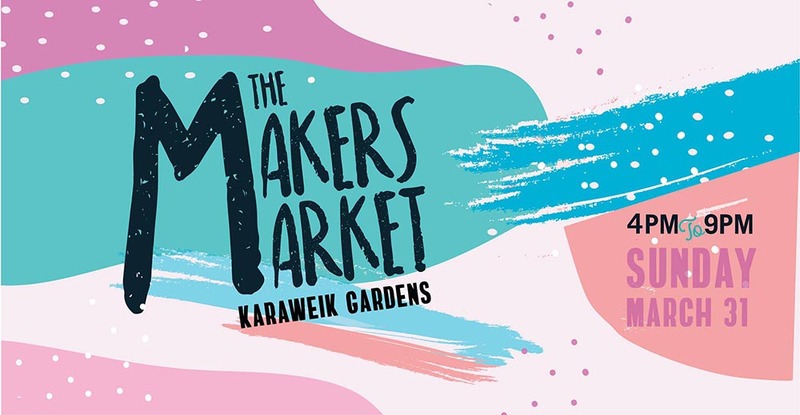 This is the fourth edition of the very popular afternoon/evening market event where you will find an exciting range of the finest locally made and handmade arts and crafts, clothing, food and food vendors and get the chance to meet the makers, designers and artists behind the products. Some interesting vendors include Moon Craft (bamboo goods), Mai Su (handwoven textiles) and Paloma Yaya (natural fabrics). For food and drinks you can head to The Satay Shack, Othentic, Shwe Sa Bwe, Union Bar & Grill popups. 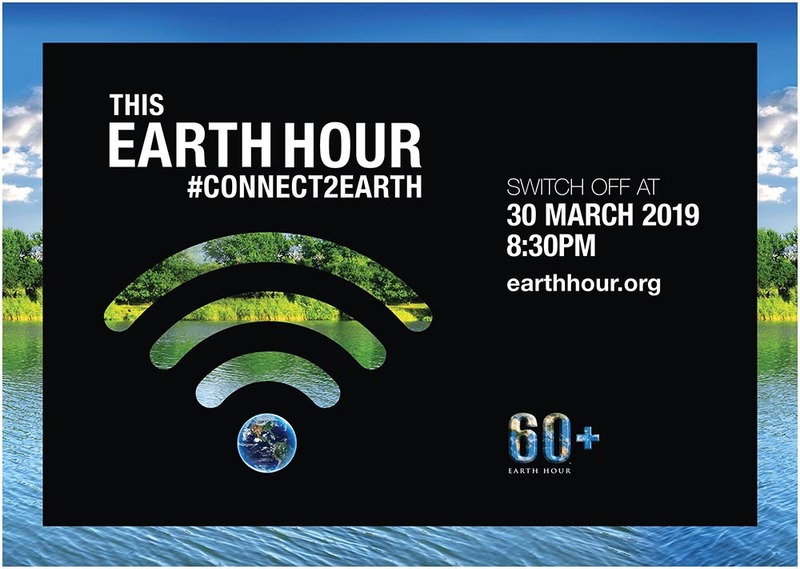 Note, this is a plastic-free event. 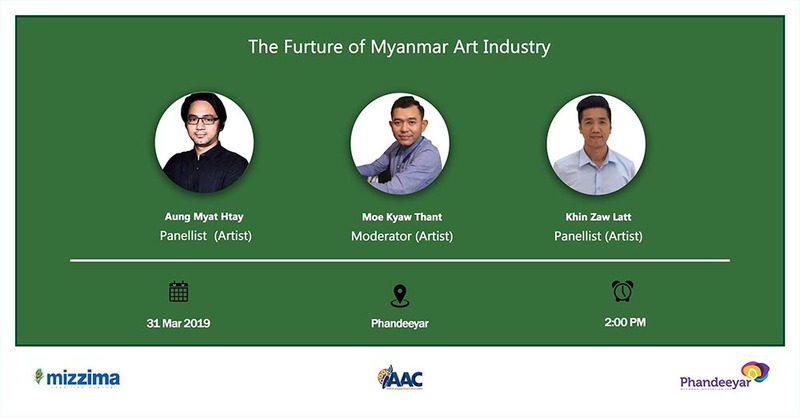 Hosted by Asia Art Connect, this event will be a discussion in Burmese about the future of art in Myanmar. The talk will be moderated by artist Moe Kyaw Thant who will be joined by panelists curator and artist Aung Myat Htay and artist Khin Zaw Latt. 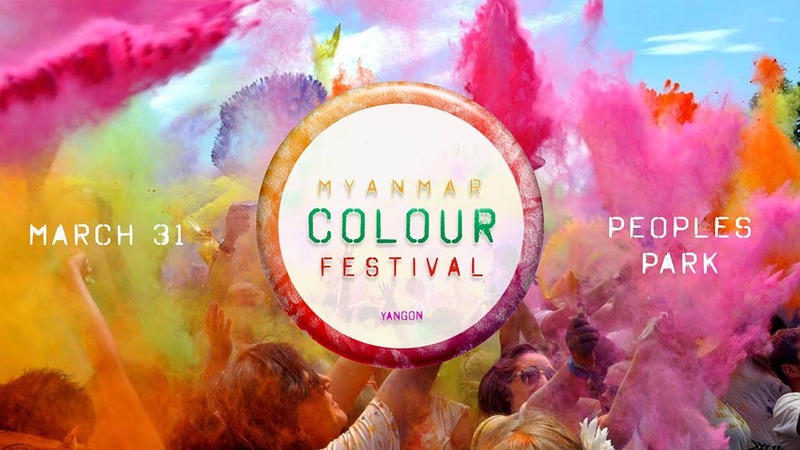 This is another colorful festival where attendees are given bags of colored powder to throw at their friends and others while they dance, party and play. The event aims to bring diverse members of the community together in a shared space for shared enjoyment. Regular tickets 8,000 kyats; special tickets 20,000 kyats. 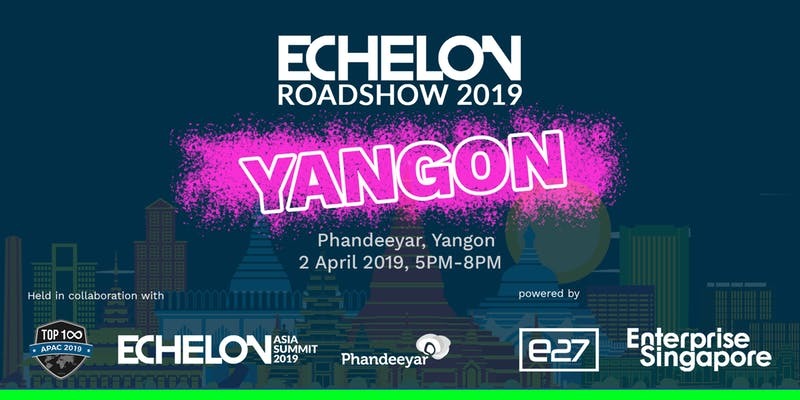 Join the best and brightest of Myanmar’s tech ecosystem at the Echelon Roadshow for an afternoon of sharing insights and making connections. The speaker, Matt De Luca, is the founder of JobNet.com and tell his own startup story and dispense advice and tips to help you out in your own entrepreneurial journey. Pre-registration recommended. The non-profit, non-governmental Myanmar Institute for Peace and Security will present a comprehensive overview of the conflict and peace process in Myanmar with data from its advanced monitoring system together with pointed insight and analysis. This event is the launch of their annual report.